Du Zhenjun was born in Shanghai in 1961. He graduated from the University of Shanghai’s School of Fine Arts in 1986, and the Regional School of Fine Arts in Rennes, France in 1998. He currently lives in Shanghai and Paris. Du has a background in classical painting and sculpture, but now works primarily in digital media as he believes it is the most relevant way of making art—“a way of working on the dimension of power inherent to a society of information and new technologies”. His interactive new media installations and digitally manipulated photographs have made him one of China’s most recognised digital artists. His work deals with tragedy and what he considers as the universal human condition. He sources some of his images from mass media outlets, including television, magazines, and newspapers. 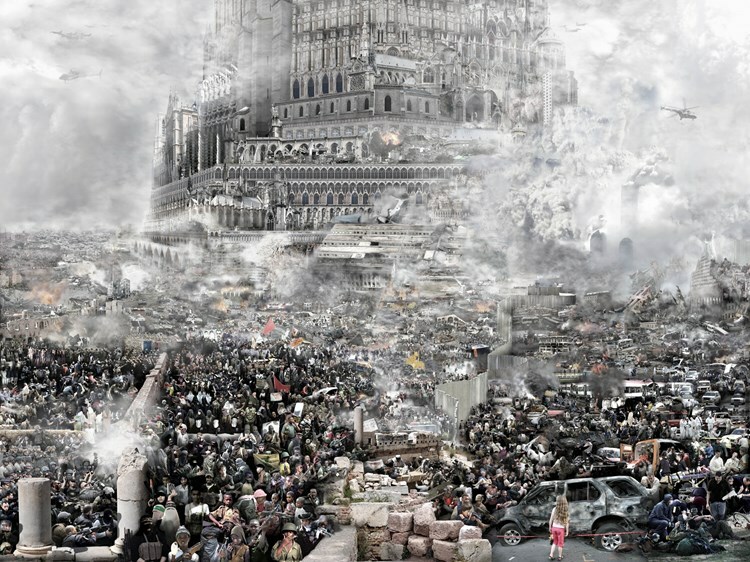 His recent solo exhibitions include Babel Empire (2014), Château de Chambord, Château de Lunéville, France; Babel-world/Du Zhenjun (2013), ZKM | Center for Art and Media, Karlsruhe, Germany; La Tour de Babel (2012), Maison de la Culture de Metz, Metz, France; and Interactivités (2010), L’institut franco-japonais de Tokyo, Tokyo, Japan.